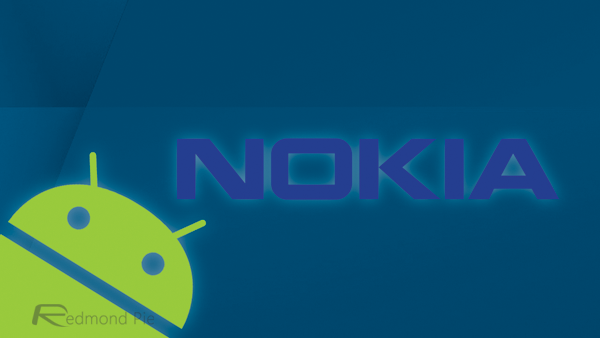 Microsoft’s acquisition of Nokia’s products and services department back in September of last year had thrown any aspirations of the Finnish company delivering an Android handset into doubt. Its Redmond overlord is, after all, trying to make strides with its own struggling mobile ecosystem in Windows Phone. But nevertheless, talk of a Nokia-made device running Google’s Android has remained, and as far as we know, it’s being developed under the codename Normandy. Today, courtesy of various sources on both Twitter and China’s Weibo, we could have our first legitimate glimpse at the so-called "engineering prototype." Check it out after the leap! We’ve already seen press images of Normandy, but this is the first time we’ve been able to clap eyes on the device in some sort of action. Sure, it would have been nice to have a video demonstrating the user interface, but for the time being, a photo will do nicely. From what has been said of Nokia’s supposed Android endeavors in the past, we’ll be getting a low-cost handset rather than anything too grandiose, and this leaked shot does very little to refute these claims. The design is simplistic, typical of a mid-range device, and although it’s hard to glean too much detail from this solitary snap, it does remind us somewhat of the Lumia 820, which was also a mid-market effort. The device itself isn’t of such importance as the UI, which is heavily modded from the traditional Google Android setup. Sure, the likes of HTC and Samsung like to apply their own launchers to proceedings, but both still retain an element of the stock Android experience for the end user. But at this point we can’t say what the final UI of the Normandy will be like, since the device in question is just a mere engineering prototype. 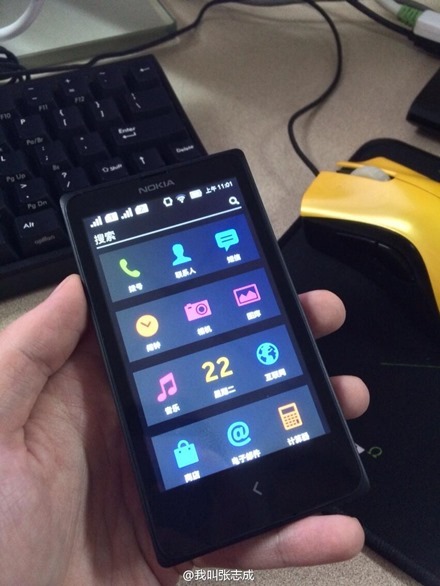 But still, we see slight flat elements of Windows Phone here and there. If history is anything to go by, we’d expect that a demonstration video of Normandy in battle will surface in the very near future. As and when it does, we’ll have all the details here at Redmond Pie, so be sure to stay tuned to our coverage. 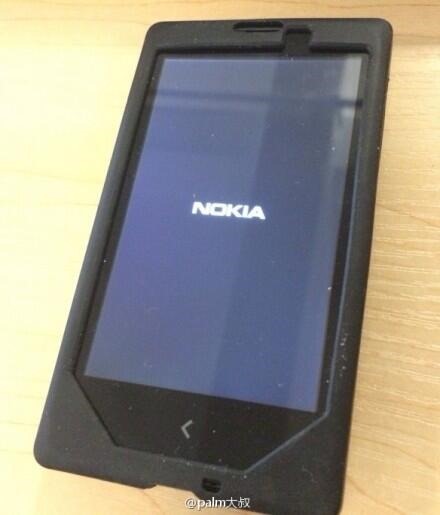 In the meantime, would you be enticed by a Nokia running on Android? Or would you hold out in the hope that a higher-end model surfaces? Do share your thoughts below!